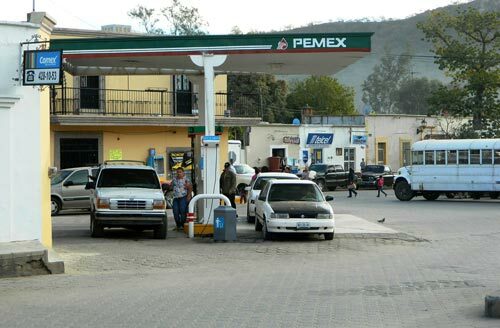 Three busy centers of Álamos can be seen above: the gas station is at the photo’s bottom left, just to the left of the two story building. The Asoc. 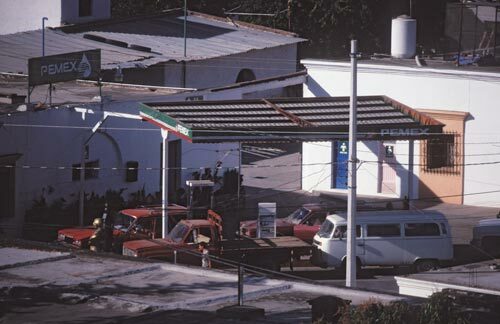 Ganadera local de Alamos is seen to the left of the gas station with its large angled metal roof that is behind and part of the local cattlemen and ranchers association’s office. The roof’s design acts like a speaker broadcasting music from dances held here across town and off the mountains. 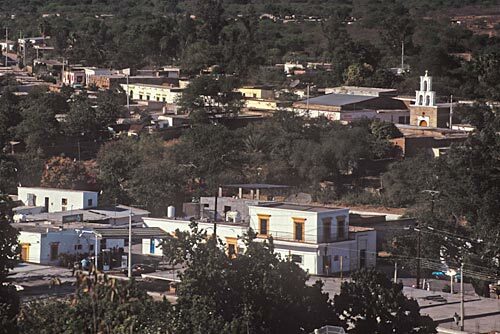 In the middle near the right edge is La Capilla Zapopan. 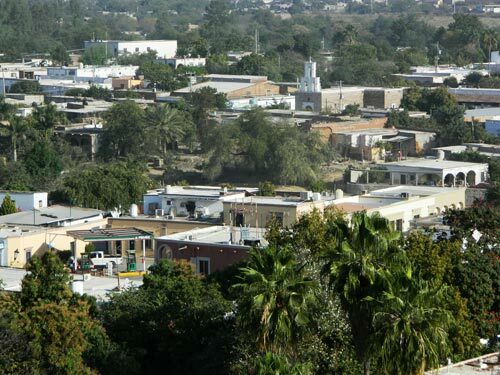 Chapel Zapopan was built in 1841 for Dona Juana Mallen by Don Ignacio Almada y Alvarado. 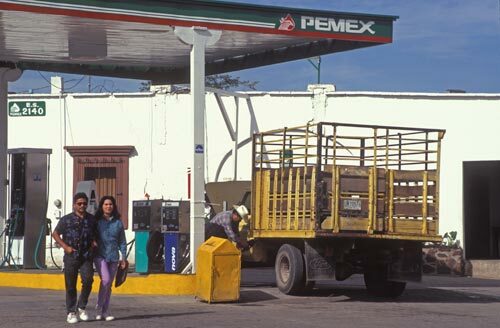 If one was to spend a day watching the comings and goings at the gas station they would learn much about what makes Álamos go. 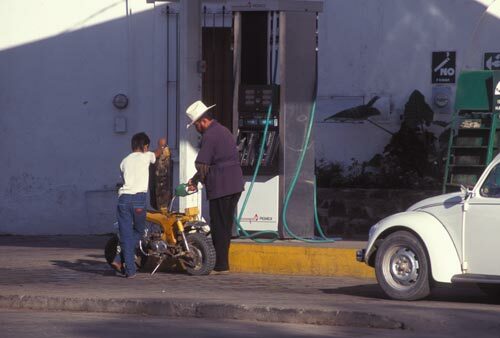 People pull in for gas and air all day long: on foot with gas cans, bicycles, motorcycles, cars, trucks, big trucks and buses. Conversations take place between customers, attendants, people passing by and folks hanging out. 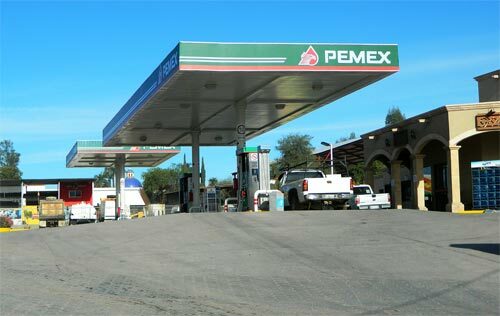 Locals, tourists, ranchers from out back, North American community members, employers, workers, poor and rich all show up if they need gas here and now. Waiting in line can be a social event. This is a busy place in a noisy neighborhood. 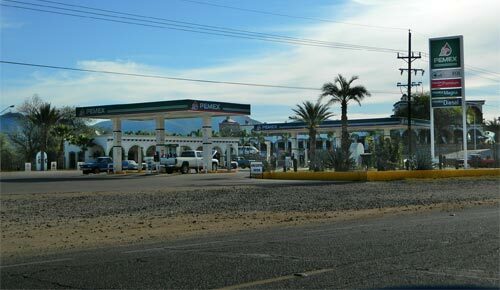 It is a junction that keeps Álamos, Sonora, Mexico functioning in the modern internal combustion era. 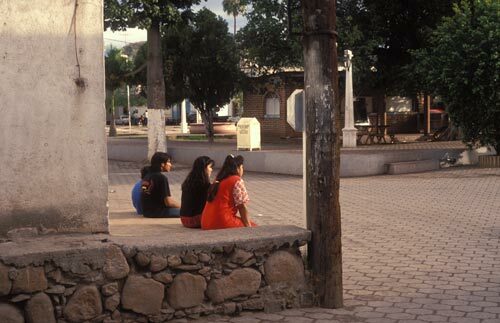 In reality, not ever one in Álamos owns a car. In fact, most do not own a car and if they need to travel they walk, ride bikes, motor scooters, an occasional horse, taxis or buses. Life without a car is a slower life. Some would say it is the way to live life come sunrise, come sunset. 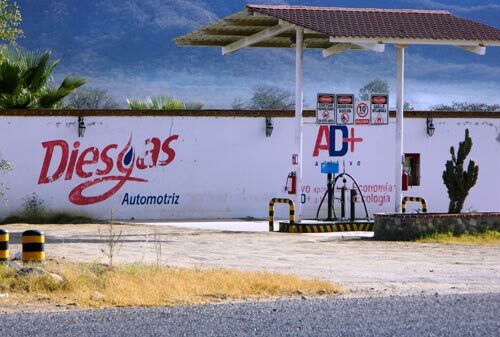 There is a natural gas station in Álamos. 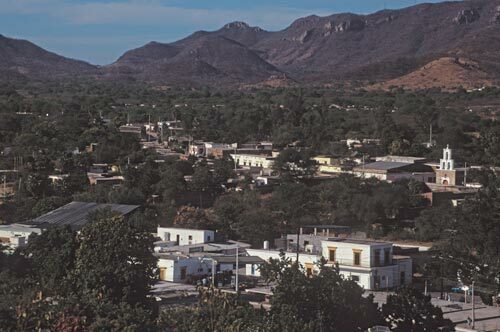 Photo: Humberto Enríquez. 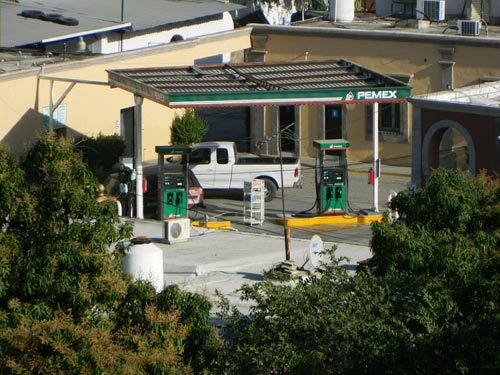 A modern gas station fills the auto needs of Álamos. 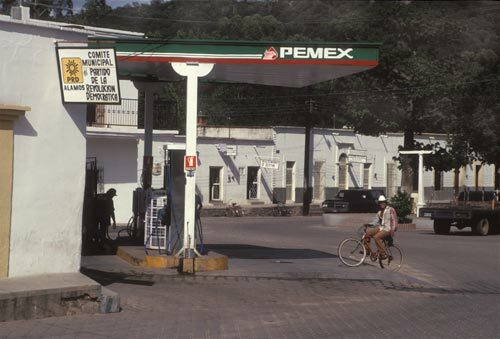 Photo: Humberto Enríquez.